The greatest impact we can have performance comes from the design of the building form. As designers, the greatest impact we can have on a building’s overall performance comes via the design of the building itself. At every step of the design and decision-making process — from the location of a building, to its orientation on site and its shape, size, and ability to respond to its environment — the decisions we make are crucial to creating high-performance buildings that marry a great experience with minimal environmental impact. Achieving this requires an openness to both new building forms and aesthetics, as well as a drive to push experimentation and performance testing earlier in the design process. Our buildings and cities will also have to experiment with new forms, in many cases requiring dramatic shifts to achieve true resilience. The influence of urban form is crucial — street layouts determine building’s solar orientation, wind exposure, and other environmental factors. At both scales, early intervention is crucial if formal decisions aren’t made with performance in mind, a significant amount of opportunity has already been lost. 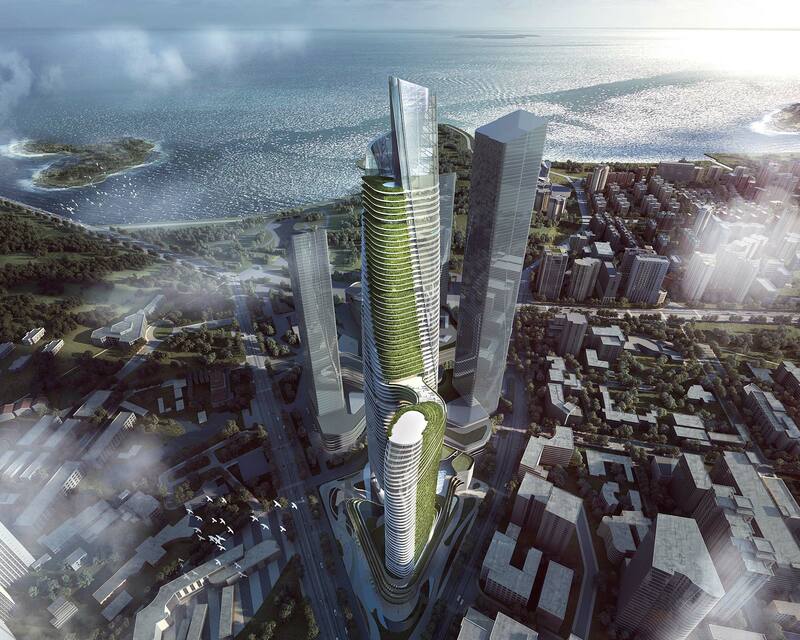 The design proposal for Huace Plaza in Zhuhai, China, aims to create a vertical ecological system that invokes ideas of a cloud forest through its roof gardens, ecological atriums, sky and terraced gardens, all while creating a building that maximizes performance. Advances in computational design are helping to push these discussions forward. It’s possible today to create and test a wide range of building locations, orientations, and forms at the early stages of a design process to identify the most efficient solutions — whether efficient from an energy standpoint, a materials and structural standpoint, or how users will get to and from a building and interact with it. Our buildings and cities will have to experiment with new forms, in many cases requiring dramatic shifts to achieve true resilience. Formal explorations should also take lessons from the buildings that haven proven most amenable to adaptation and re-use in the past. Whenever possible, we should design our buildings for a future in which their use is potentially unknown. Human behavior, technology, and the ways in which we use and inhabit physical space will continue to evolve. 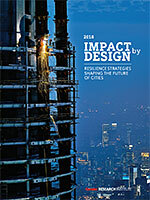 Whether designing buildings in a way that they can be easily deconstructed and reconstructed while reusing materials, or creating flexible and reconfigurable spaces that easily adapt, this approach to an unknown future should increasingly be part of the resilience narrative.